Remington iLight is a range of shavers with intense pulsed light (IPL), belonging to the American producer Remington. They come to the fore with an efficient, quick and painless hair removal technology which leaves behind a smooth skin for a long time. 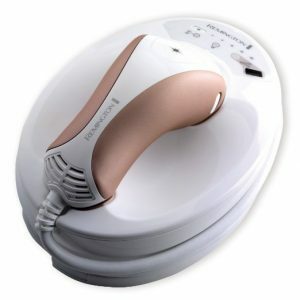 Achieving impressive performances by reducing the leg-hair up to 90% and up to 75% of the hair from other body parts, the Remington IPL hair removal devices are among the best IPL hair removal devices in the market place and are recommended to all those who wish to have professional care in the comfort of their own homes. The technology of definitive hair removal with intense pulsed light (IPL) incorporated in Remington i-Light devices is named Propulse and has been developed by the American producer in collaboration with dermatologists. The devices have been subjects to clinical tests and they are approved by FDA (Food and Drug Administration). 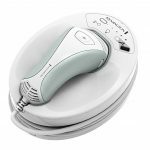 As well as the other IPL devices on the market place, Remington iLight devices do not perform a properly permanent hair removal, but a definitive reduction of hair growth along the treated areas. The technology is similar to the one used by dermatologists in salons or clinics and it consists of exposing the skin to a fascicle of light which is captured by the melanin and the hair follicle. This process results in the destruction of the hair root and, this way, its growth is prevented. After every session of treatment, the hair will be fewer, thiner, more faded and easier to remove and for obtaining the desired effect, you may need between 6 and 20 sessions. The best results are obtained by those who have a light complexion and dark hair. Remington iLight range is composed of the following models : Ultra Face and Body IPL6500QFB, Pro Plus Quartz IPL6000Q, Pro IPL6000USB, Pro IPL6000USA and Pro Plus IPL6000P. These differ from one another through endowments and the variety of uses. 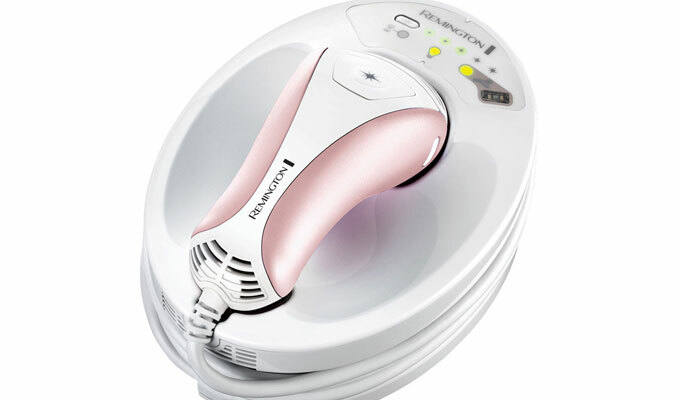 The used to be a smaller model Remington i-Light Reveal IPL2000, which used the same Propulse technology, but it differed significantly from the other devices of the range through the compact, wireless design which recommended its use on small areas such as the bikini line, the armpit or the face. An important difference that you have to take into account is the type of LED used. Therefore, IPL6500QFB and IPL6000Q feature Quartz Infinity LEDs which enable a longer use (theoretically, they will never have to be changed) and the LEDs of the units IPL6000USB, IPL6000USA and IPL6000P offer only 1,500 pulsations. Every Remington i-Light hair removal system disposes of incorporated skin sensors, more settings of intensity for pulsations, a LED indicator for the intensity of the light and a function for selecting the working mode: Multi-Flash for larger areas or Single-Flash for treating the same spot. The Remington technology offers very good performances and this thing is certified by the positive opinions of the consumers. 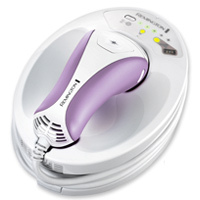 The long lasting Quartx Infinity LEDs, the attachments for every part of the body, the five adjustable settings for intensity, the intelligent Multi-Flash function but also the incorporated skin sensor are among the most important features of the IPL Remington shavers and they offer an experience perfectly adapted to any requirements. The skin sensor is an extremely useful feature of the Remington shavers, which we cannot find at other producers. It automatically adjusts the intensity of the light fascicle according to the color of your skin. The IPL lamp of model IPL6000 has a life span of only 1500 pulsations, meaning that it can be used for aproximately 2 or 3 sessions of hair removal for the whole body. Even if the package contains 3 lamps, the short life span is a significant inconvenient. The higher the intensity that the device is set on is, the stronger the use of the lamp will be. The weaker power and the compact size recommend the Remington i-Light Reveal IPL2000 model to be used on small areas like the bikini line, face areas or the armpit. When used on the whole body, though, it can be uncomfortable and not strong enough. 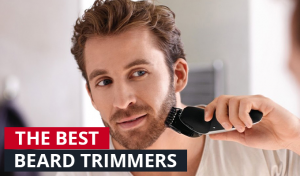 Are the Remington i-Light Shavers Suitable for You? 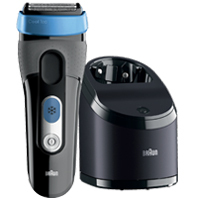 These shavers are suitable for every person who wishes for an efficient IPL shaver, in order to have qualitative care. The most performant device is iLIGHT Ultra Face and Body IPL6500QFB, which offers the most options and features as well. 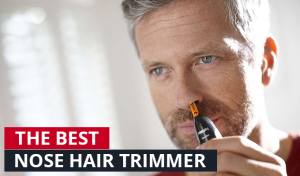 The women who have used it declared themselves very pleased about the results and they have particularly appreciated the Multi-Flash function, which enables a quick hair removal thanks to the large surface of action of the LED. It includes three attachments : one for the body, one for the face and one for the bikini line and it is recommended even to men. Remington iLIGHT Ultra IPL6500QFB is the most performant, but also the most expensive device. If you are looking for a cheaper alternative, my advice is that you turn to i-Light Pro IPL6500, which offers similar options, except from the accessory for the bikini line and the storage box. The other models are efficient as well, but they have a short life span of the LED. 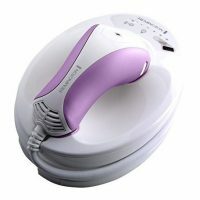 Remington IPL6500QFB and IPL6000 are among the best laser hair removal devices on the market place and compared to similar products from Philips, they have a better quality-price ratio and they offer, in my opinion, superior results. We are interested about your opinion. If you have used any of these devices, please tell us about your experience in the comment section below.